Nathan Seeckts is a folk troubadour, who creates sing-a-long tales filled with memorable characters and engaging storylines. Inspired by artists such as Lucero, Jason Isbell, Steve Earle and Bruce Springsteen, Nathan's songs are heartfelt narratives that echo loudly from personal experience. “Whether it’s stories about decaying buildings and long forgotten landmarks around where I grew up, to dancing to old records as the summer sun sets, or thoughts that’ve popped into my head as I’m sitting in a carpark staring out at the Melbourne skyline, these are tales that come from where I live. The place that I call home”. On the back of releasing several highly acclaimed EP's, Seeckts has recently completed the recording of his first full length album, working with Melbourne super producer Roger Bergodaz (The Ahern Brothers, Raised By Eagles, Freya Josephine Hollick) at Union Street Studios. The album, which is due for nationwide release in early 2019, features all the qualities that make Nathan Seeckts a standout artist; his ability to craft intricate and engaging stories of love and loss, his combination of alt-country and folk, and his commanding and indelible voice – equal parts gravel and passion. Seeckts has honed his sound through bars and stages across Australia and North America, appearing at the Poison City Weekender, Blood Sweat & Beers, The Mane Event, The Bands Are Breaking Up and the Airey’s Inlet Music Festival. He has also supported some amazing acts; including The Teskey Brothers, Archie Roach, You Am I, Tex Perkins, Cash Savage, Raised By Eagles, Graveyard Train, Deer Tick (USA), Joe Pug (USA), Courtney Marie Andrews (USA), Big Country (Scotland), Austin Lucas (USA), Cory Branan (USA) and Joey Cape (USA). Late 2016 saw Seeckts travel to the USA as part of a 2 month, self-funded tour to promote his latest release ‘A Man Possessed’, playing major cities including Austin, Houston, New Orleans, Memphis, Nashville, New York and Chicago. 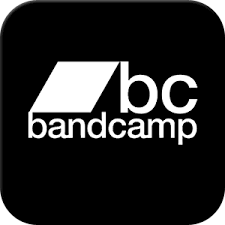 'A Man Possessed' is available now via Bandcamp, iTunes and all the usual digital outlets. 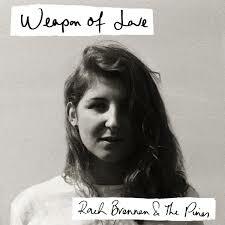 Geelong artist Rach Brennan promises a sound that is completely her own. Alongside her band ‘The Pines’, the singer-songwriter’s sunny spirit is embedded in her captivating live performances, with catchy melodies a-plenty and four-part harmonies that will remind you of sing-alongs you’ve most likely had with your best mates. On the cusp of releasing her debut album the 24-year-old emerging artist is armed with ambition, her five-piece band and a collection of unpretentious and impressive tunes that were penned as a nod to early adulthood. Rambunctious yet endearing, whisky-swilling, boozy-singing, cockle-warming sextet from Melbourne, specialising in the key of Brunswickana. The Drunken Poachers, with their wily ways and wooden instruments, have snuck boot-clad and boozed onto Melbourne’s livemusic stages. A dubious septet not to be trusted, they poach the tunes of others and after a white-wash of their brand of Irish-blue-grass-country, they declare what never belonged to them, their own. Banjo, gee-tah, ukulele,mandolin, Irish fiddle, uke bass, lagerphone. Live Show crowd Singalongs are definitely Essential Viewing.